In recent years, there have been many changes made in public spaces such as restaurants, movie theaters, retail stores, and airlines to allow for emotional support animals. In last month’s article, we discussed the difference between a service animal and an emotional support animal for the purposes of private and semi-private places such as dwellings, timeshares, apartment complexes, and hotels. This article addresses service and emotional support animals in public places. Under the Americans with Disabilities Act (ADA), a place of public accommodation is required to allow a “service animal” which is defined as an animal that has been individually trained to do work or perform tasks for an individual with a disability. The ADA generally contemplates service animals as being dogs but does not specifically eliminate other forms of service animals. In general, businesses that serve the public are required to have a policy in place that allows a person with a disability to have a service animal to accompany them while engaging in business at the place of accommodation. Under the ADA, an emotional support animal who provides comfort to a person with a mental disability does not fall under the qualification of a “service animal” at this time. The ADA requires that service animals be harnessed, leashed, or tethered, unless the device interferes with the animal’s work or the individual’s disability prevents them from using these devices. Individuals who cannot use such devices must maintain control of the animal through voice, signal, or other effective controls. Businesses may exclude service animals only if: 1) the animal is out of control and the handler cannot or does not regain control; or 2) the animal is not housebroken. If a service animal is excluded, the individual must be allowed to enter the business without the service animal. Though a business owner is not permitted to insist on proof of certification of the service animal prior to allowing the person with the disability access to the business with the animal, a business owner is permitted by the ADA to ask the person with the service animal if the presence of the animal is necessary because of a disability. Generally, good indicators of a service animal are special collars, harnesses, or other insignia (although, not all service animals wear those indicators). A business owner should craft a written pet policy for their business which allows for service animals and creates clear guidelines for employees to follow if a patron of their business requires a service animal to accompany them. Recently in the news, there have been reports of strange emotional support animals such as squirrels and peacocks aboard commercial airline flights. In 1996, the Department of Transportation (DOT) promulgated a regulation providing policy guidance concerning service animals in air transportation and adding to the Air Carrier Access Act (ACAA). The DOT redefined a “service animal” as “any guide dog, signal dog, or other animal individually trained to provide assistance to an individual with a disability. If the animal meets this definition, it is considered a service animal regardless of whether it has been licensed or certified by a state or local government.” At that time, the DOT made it clear that animals who assist persons with disabilities by providing emotional support qualify as a service animal, therefore allowing them on airlines. However, documentation may be required of passengers needing to travel with an emotional support or psychiatric service animal. Airlines are permitted to exclude certain animals on the following basis: 1) Animals that are too large or heavy to be accommodated in the cabin; 2) pose a direct threat to the health and safety of others; 3) cause a significant disruption of cabin service; or 4) are prohibited from entering a foreign country. While an airline cannot require a patron to pay an additional fee or cost in the event that they have a service or emotional support animal with them onboard, airline carriers are allowed to create their own policy with regard to emotional and service animals so long as they do not violate ADA and DOT regulations. Most major airline carriers require passengers with emotional support animals to provide proper documentation completed by a medical professional acknowledging that the passenger has a mental or emotional disability recognized by the Diagnostic and Statistical Manual of Mental Disorders and are in need of this emotional support animal. In the past, airlines have allowed a wide array of unique emotional support animals on planes such as pigs, horses, turkeys, and monkeys; however, with recent problems stemming from emotional support animals on planes and in airports, airlines are beginning to change their policies. Recently, a five-year old girl was mauled at the gate of an Alaska Airlines flight by an emotional support pit bull. Alaska Airlines and the airport where the incident occurred are facing litigation by the girl’s family on her behalf. American Airlines is now requiring vaccination records of all emotional support animals and has restricted their emotional support policies only to include dogs or cats, and in rare cases, a miniature horse. It appears that other commercial airline carriers are following suit. It is important as a patron of an airline looking to travel with an emotional support or service animal to check the specific airline’s policy before flying and to comply with those policies. It is unclear what future changes will be made to provide for service and/or emotional support animals in public spaces as the law and administrative policies are ever-evolving. If you are a business owner looking to draft or revise your animal policy, it is important to confer with legal counsel to ensure that you and your employees are properly handling service and emotional support animals in compliance with the ADA. See the article at: NNBV. 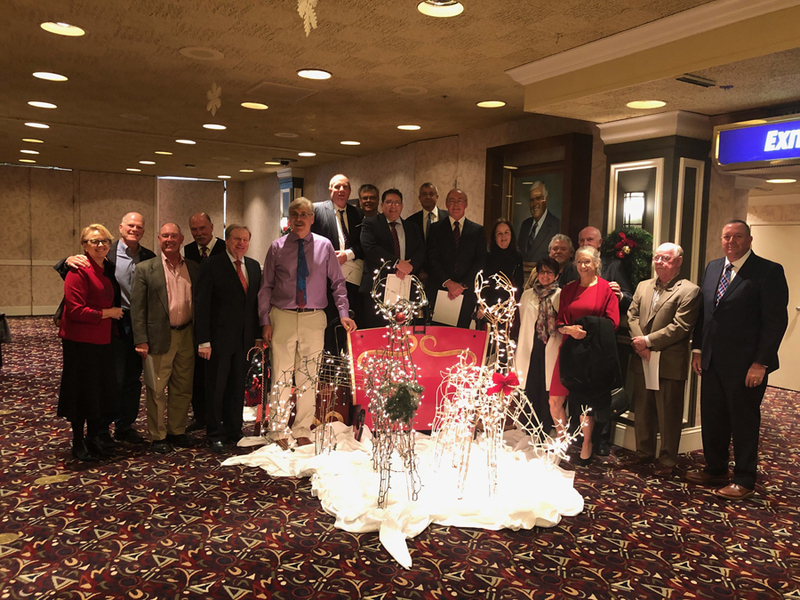 On December 12, 2018, Allison MacKenzie Attorneys, Joan Wright and Mike Pavlakis were honored by the Washoe County Bar Association (WCBA) for their length of service. The two were admitted to practice in Nevada in 1979, and been active members in WCBA for at least 10 years. The WCBA was established in 1905 for the purpose of encouraging the practice of law as a profession, promoting justice and serving the practice of law in our community. The organization currently has over 1,200 members in the Northern Nevada area. Each year over 30,000 students participate in local high school mock trial competitions throughout the United States, Guam, South Korea, and the Northern Mariana Islands. The State Bar of Nevada provides mentoring for high school mock trial teams throughout the State that compete at the regional and statewide level. The Bar’s statewide program is administered by a volunteer Mock Trial Committee, with assistance from the Washoe County Bar Association. The top team advances to the National High School Mock Trial Championship. The program is supported by the Nevada Bar Foundation and an endowment made on behalf of attorney Charles Deaner. Deaner was an ardent supporter of law-related education and the Mock Trial program. He established a living trust to ensure the continued support of this endeavor. The Nevada State championship round is named in his honor. 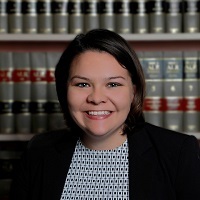 Local attorneys, Jennifer McMenomy and Emilee Sutton, associates at Allison MacKenzie Law Firm have volunteered to mentor members of Carson High School’s Mock Trial Club. The two attorney coaches, along with a supervising Carson High School teacher, educate the students about legal processes and courtroom etiquette including: adversarial procedures, rules of evidence, examination of process and more. The program helps participants develop the tools and techniques needed to become effective litigators and worthy competitors in the courtroom. In November Jennifer and Emilee began meeting with participants to explore facts and procedures regarding a civil case. Weekly, during a course of a few hours, the coaches, teacher and nine students delve into a case that focuses on religious discrimination. Jennifer and Emilee have enjoyed the experience so much that they have committed to mentoring the club again next year. “They learn what lawyering is all about. How court actually works and the legal process. I participated in mock trials when I was in high school, and it is fun to see it from the other prospective of mentoring. I love being involved with the kids,” Emilee stated. Allison MacKenzie Law Firm is pleased to announce the appointment of Justin Townsend as its newest shareholder effective January 1, 2019. Justin joined the firm as an associate in 2013 and focuses his practice in the areas of administrative law, business law, real estate law, and natural resource law. ustin is a Brigham Young University graduate and obtained his law degree from J. Reuben Clark Law School of Brigham Young University in 2010. He was admitted to practice law in Texas in 2010 and Nevada in 2011. He is fluent in Spanish and currently resides in Minden with his family. “Justin is a great lawyer and a better person. We are thrilled to have Justin and the entire Townsend family as part of the Allison MacKenzie family,” said James R. Cavilia, managing shareholder with Allison MacKenzie. The talented legal team and professional staff of Allison MacKenzie is pleased to welcome Justin as a shareholder and look forward to his continued success in providing exceptional counsel to clients, contribution to the growth of the firm, and dedication to the betterment of the community and its residents. For more information, contact Allison MacKenzie Law Firm at 775.687.0202, or visit www.AllisonMacKenzie.com. What Every Business Should Know. On December 7, 2017, the Nevada Supreme Court issued a decision settling a previously unanswered question under Nevada law that directly impacts Nevada employers; namely, whether employees have a private right of action against their employers to recover unpaid wages under Chapter 608 of the Nevada Revised Statutes. The Court answered that question in the affirmative and clarified years of conflicting caselaw and ambiguity. Chapter 608 of the Nevada Revised Statutes governs the payment and collection of wages, as well as other benefits of employment. Specifically, NRS 608.016 governs the failure to pay overtime wages, NRS 608.018 governs the failure to timely pay all wages due and owing, and NRS 608.020 through 608.050 govern payment upon termination. In addition, NRS 608.180 specifically grants the Labor Commissioner power to enforce the professions described in NRS 608.005 to 608.195. However, the wage and hour statutes are silent as to whether an employee has a private right of action to enforce their terms. In relevant part, NRS 608.140 provides that “[w]henever an…employee shall have cause to bring suit for wages earned and due according to the terms of his or her employment, and shall establish by decision of the court or verdict of the jury that the amount for which he or she has brought suit is justly due,” the court shall allow the plaintiff to recover reasonable attorneys’ fees incurred for bringing suit, along with the amount found due for wages and penalties. In light of the Baldonado footnote, employees bringing suit for unpaid wage claims against employers in district court attempted to bootstrap a private right to enforce other provisions of Chapter 608. Nearly ten years after Baldonado was decided, the Nevada Supreme Court finally put the issue to rest when John Neville, Jr. filed a petition for a writ of mandamus challenging the district court’s dismissal of his NRS Chapter 608 wage claims on the basis that no private right of action exists. Mr. Neville was employed as a cashier at a Las Vegas convenience store owned by Terrible Herbst, Inc. Terrible Herbst enforces a time-rounding policy whereby it rounds the time recorded and worked by all hourly employees to the nearest 15 minutes for the purposes of calculating wages. As a result of the time-rounding policy, Mr. Neville alleged he did not receive wages for work actually performed. On appeal, the Nevada Supreme Court discussed the Baldonado footnote and found that NRS 608.140 demonstrates the Legislature’s intent to create a private cause of action for unpaid wages. The Nevada Supreme Court stated, “[i]t would be absurd to think that the Legislature intended a private cause of action to obtain attorney fees for an unpaid wages suit but no private cause of action to bring the suit itself.” Because Neville’s Chapter 608 claims involved allegations that wages were unpaid and due, and he tied his Chapter 608 claims with NRS 608.140, the Nevada Supreme Court found Neville properly stated a private cause of action for unpaid wages. In light of the Nevada Supreme Court’s decision in the Neville case, there will likely be increased numbers of employees bringing civil lawsuits – including class actions – in Nevada courts for unpaid wages and attorneys’ fees. Because of the unknown outstanding financial obligation to employees and the significant costs of litigation, it is crucial that Nevada employers comply with Nevada’s wage and hour requirements. Employers are advised to consult with qualified legal counsel to ensure the adoption of policies and practices that comply with NRS Chapter 608. See the article at NNBV. Thought Leaders: Are your workers independent contractors or employees? Are Your Workers Considered Independent Contractors or Employees under Nevada Law for the Purposes of Payment and Collection of Wages and Other Benefits? If you are an employer in Nevada, you know your employees are required to be paid a minimum wage for work performed, be provided certain insurance benefits depending on full or part-time status, be compensated properly for overtime, are allowed breaks, and other benefits. You may also know that if you engage independent contractors, these workers are not necessarily entitled to all the benefits afforded to those with an employee status. It is important for you, as an employer, to know the distinction between an independent contractor and an employee to protect your business from liability. To establish an independent contractor relationship for the purposes of payment and collection of pay and other benefits, there is a relatively new law that has been enacted in Nevada to help employers and workers alike determine their role in the workplace. The determination that a worker is an independent contractor is dependent on several factors that have been enumerated within the law. In June of 2015, Senate Bill 224 was signed into law. The bill created a “conclusive presumption” that a person is considered an independent contractor if that person meets certain criteria set forth under the law. A “conclusive presumption” requires a court to presume an issue or fact is true notwithstanding evidence to the contrary. Therefore, if a court makes a conclusive finding that a worker is an independent contractor, the worker will not be able to provide evidence to the court opposing that finding. 5. The person contributes a substantial investment of capital in the business of the person, for instance the purchase of tools and equipment, and/or the person asks for permission from the principal to access the work space from the principal and/or leases the work space from the principal. For the purposes of this article, the principal is the person who engages another to do any work. If a person does not meet three or more of the requirements of section (c), that does not mean they will be considered an employee, rather there will be no conclusive presumption made regarding the person’s status as an independent contractor. A finder of fact, meaning a judge or jury depending on the proceeding, will have to determine whether the worker is an independent contractor or an employee under the law. In interpreting the factors presented in NRS 608, the important word to keep in mind is control. Does the worker or the principal (employer) have control over the timing and the manner in which the work is performed? Does the worker or the principal have control over the materials, tools, and space in which the person is working? Who has control over the financial aspects of the tasks to be performed? Does the worker have the freedom to perform work for a different entity while also working for the principal? If the general answer is that the worker has the control over those aspects, it is likely that the person will be deemed an independent contractor under the law. Please note that the conclusive presumption of an independent contractor under NRS 608 only applies to Nevada’s wage and hour and benefits laws. The tests for determining whether someone in an independent contractor for the purposes of unemployment, the Nevada Industrial Insurance Act (NIIA), and for tax purposes can be found in other places within the Nevada Revised Statutes and the Federal Tax Laws. As always, it is of the utmost importance for business owners to have a signed, written agreement with independent contractors that outlines their duties, responsibilities, and the expectations of the task or job to be performed. Be aware, however, that merely classifying a worker as an “independent contractor” in an agreement or contract will not be conclusive as to whether that worker is indeed an independent contractor or employee under the law. 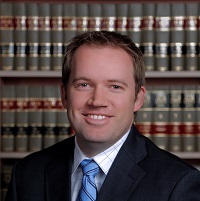 Carson City attorney, Joel W. Locke, a partner at Allison MacKenzie Law Firm pens short series on “The Rule of Law” to help educate Nevada businesses on its impact. Locke recently attended the State Bar of Nevada Annual Meeting in Chicago, IL. The three-day event was held at the Drake Hotel on July 12th thru 14th, 2018. The meeting’s theme was “The Rule of Law” and focused on the discussion of how the legal profession has helped shape the rule in our country’s history, and its role in the future. Locke’s inaugural article, The Rule of Law – Part I, was released on July 23rd, 2018 and can be found at: AllisonMacKenzie.com. Part I explores the famed McDonald’s spilled coffee case and includes a video by guest speaker, Susan Saladoff. Additional articles will be released in the upcoming weeks. “The State Bar of Nevada’s Annual Meeting is an excellent event where I am able to further my knowledge of pressing legal issues facing my clientele as well as enjoy informative lectures and engaging discussions with renowned, high-profile speakers from across the country. 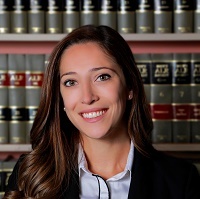 Additionally, it is a unique opportunity to network with preeminent attorneys and to meet many judges from across Nevada.” Joel W. Locke stated. Joel W. Locke joined Allison MacKenzie in 2007. 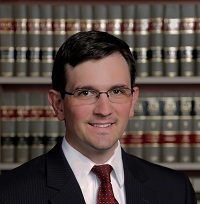 A native Nevadan, Locke graduated from the University of Nevada, Reno in 2000, and then obtained his law degree from Gonzaga University School of Law in 2006. 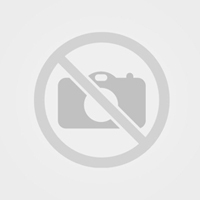 Subsequently, he was admitted to practice law in the State of Nevada in 2006. Joel’s areas of legal practice include: Family Law, Probate Law, Guardianships, Healthcare Law and more. How many emails are in your mailbox right now? Not just unread ones, all of them, including the ones in your Sent folder. Multiply that by the number of employees, and you can see that the volume of electronic records your business is accumulating quickly becomes staggering. Word files, spreadsheets, emails, texts, and instant messages now dominate our work and our communications. Billions of electronic records can be inexpensively stored on a device that fits in your pocket. As the cost of data storage declines, the number of records that are being stored indefinitely continues to soar. All of these electronic files or records are treated by the courts exactly the same as good old-fashioned paper documents. That means that if your business is sued, it must not only retain those electronic records, but it will very likely have to produce a great number of them to the opposing party. “Electronically stored information,” or ESI, includes all forms of electronic data that is relevant or potentially relevant to the lawsuit. This means word processing files, databases, emails, and even the text messages on your phone. Does your business have the capability to reliably gather all of those records, review them, and produce them in a lawsuit? Litigation is already expensive, but the sheer volume of these documents has caused the cost of litigation to skyrocket because of the difficulty that is often involved in finding, reviewing and producing such a large number of records. See the complete article at: Northern Nevada Business Weekly. 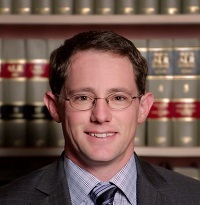 Kevin Benson is an associate with Allison MacKenzie Law firm with primary focus in the areas of civil litigation, appeals, administrative and regulatory matters, election law, and ballot measures. He is a native Nevadan and former Senior Deputy Attorney General for the state. Are you in compliance with the Pregnant Workers’ Fairness Act? If you are an employer in Nevada, you probably are well aware that federal law prohibits you from discriminating against employees and/or potential employees on the basis of pregnancy or a pregnancy-related condition. Additionally, you probably already understand that you are required to provide reasonable accommodation to such employees. However, many employers are unfamiliar with the Nevada Pregnant Workers’ Fairness Act of 2017, adopted during the 2017 legislative session, and its impact on interactions between employers and such employees. In this article, we will review the underlying federal law establishing the baseline for interactions with employees who are pregnant, or suffering from pregnancy related conditions, and discuss how the Act, which went into effect on Oct. 1, 2017, differs from prior law. In 1978, Congress enacted the Pregnancy Discrimination Act of 1978 (PDA) which expanded protections to pregnant workers provided under Title VII of the Civil Rights Act of 1964. The PDA makes it unlawful for an employer to discriminate against an employee on the basis of pregnancy, childbirth or a related condition. Subsequently, in 1990 Congress enacted the Americans with Disabilities Act (ADA), which requires employers to provide reasonable accommodations to employees suffering from a disability. Congress further expanded protections under the ADA in 2008 by requiring employers to accommodate temporary disabilities. While pregnancy is not classified as a “disability,” if a pregnancy, or related condition, impairs a woman’s ability to complete her essential job functions, under the 2008 amendment an employer is required to provide reasonable accommodation to assist the employee in completing her essential job functions. Under the ADA, an employer, and not the employee, is given the authority to select the accommodation. Accordingly, where an employer offers a reasonable accommodation to an employee, the employee must prove that the accommodation is unreasonable to successfully challenge the employer’s accommodation. Refuse to provide a reasonable accommodation to the employee. Take an adverse employment action against the employee. Deny the employment opportunity to the employee, if she is qualified for the opportunity. Require the employee to accept an accommodation that she did not request or choose. Require the employee take leave from employment, if a reasonable accommodation is available and would allow the employee to remain at work. Federal Law is not gender specific. However, the Act only applies to female employees. Under federal law, the employer determines what accommodation is reasonable and may require the employee to use an accommodation selected by the employer. Further, an employer could require an employee to take leave as an accommodation. Under the Act, an accommodation may not be imposed on an employee without her consent, and an employer may not require an employee to take leave. Therefore, under the Act, generally, the employee, and not the employer, chooses her accommodation. Under federal law, an employee may be required to submit a doctor’s certificate establishing that she indeed has a recognized disability and needs accommodation. However, under the Act, the employer may not require an employee to submit an ADA compliant doctor’s certificate. Instead, an employer may only require the employee to provide an explanatory statement from a physician concerning a recommended accommodation. Finally, under federal law, a “disability” is a defined term, and is limited to physical or mental impairments that substantially limit a major life activity. Accordingly, in order to qualify for accommodation under federal law, an employee must be able to prove that he or she suffers from a condition which “substantially limit[s]” one or more major life activity. Under the Act, there is no such limitation to finding an employee suffers from a condition triggering the right to accommodation. Instead, the Act only requires the employee to assert that she is pregnant, or has “any medically recognized physical or mental condition related to pregnancy, childbirth or recovery from pregnancy or childbirth” in order to obtain accommodation from her employer. Employers should be cognizant of these changes, and the differences between federal and state law. Further, employers should consider seeking competent legal advice should they have any questions concerning compliance with the Act. 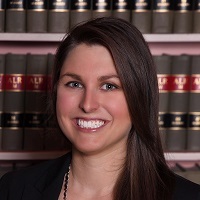 Jordan Walsh is an associate with Allison MacKenzie Law Firm with primary practice in the areas of Labor and Employment Law. Jordan is admitted to practice in Nevada and California.